Use the word in bold print to form a new word that fits into the blank. Parks in large cities are (USUAL) thought of as refuges, as islands of green in the middle of a concrete desert. 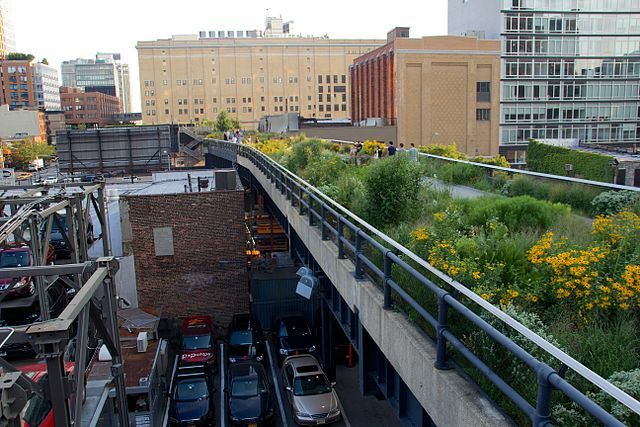 But High Line Park in the (NEIGHBOUR) of Chelsea in New York looks on first (SEE) like something that city parks were created to get away from. It's an (ATTRACT) steel structure supporting an (ELEVATE) rail line that once brought freight cars into the city's factories. Now the structure has been turned into an (INNOVATE) and inviting public park. Walking on the High Line is (LIKE) any other experience in New York. You can sit surrounded by (CARE) tended plants taking (ENJOY) from the views, or you can walk the line as it crosses between old buildings and past (STRIKE) new ones. I have walked the High Line many times and the (REMARK) thing is that every time you walk you experience new and (DIFFER) things .